Welcome to the electronic book store page for Fitting Lifes Pieces Together Volume 2 on www.self-esteem-enhances-life.com! 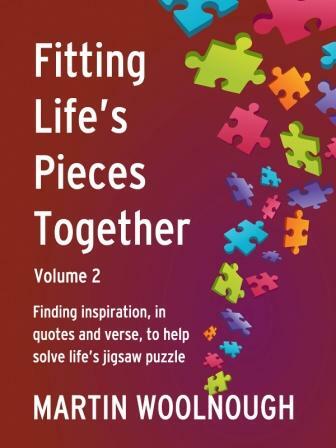 Fitting Lifes Pieces Together Volume 2 is about seeing how the different elements of the jigsaw puzzle that we call life can be brought together. We all want to enjoy life and find satisfaction and contentment in our days and the things that we decide to do. We have untold wisdom, knowledge and experience, we just need to let this come out . . . When you view the Fitting Lifes Pieces Together Volume 2 ebook on Amazon you will be able to 'click to look inside' and get a small flavor of what the book is about. But here are two further extracts for you. Part 2: Are challenges difficult? Fear won't always save you but it will take some of the pressures off your luck.